Is a Franchisee of less value than a calf? When franchisees fail, many other people take a hit, too. These over-and-above the direct devastation on the franchisees’ financial, relationship and physical health must reach into the multiple millions of $ every year. Where’s the Beef? 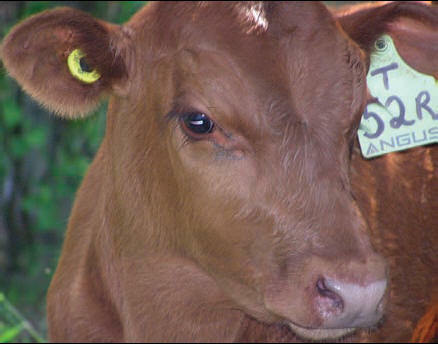 : In Canada, every young cow is tagged as they leave their herd of origin. This is a very good thing because if you don’t track potential problems, you can never solve them. Are Franchisees Tracked? : Nope: 0 per cent. Not one of 76,000: Anywhere. No one (other than their franchisors) knows when a franchisee becomes ill and dies. They stay fairly tight-lipped about those numbers. Four of the provincial governments that have specific franchise laws, don’t care enough to compel the industry to track their own investors in any independent way. Same in the U.S.
a staggering $3.8 – 15.2 billion invested (mostly franchisees’ $). People and industries keep track and count what they value. Once signed, your life holds no interest to any steakholder. Other than the bankruptcy trustees. Will GM dealers continue to lose at the Blame Game? The way things are going, the answer seems to be a resounding “yes”. In an important Blue MauMau article, Texas-based legal veteran Richard Solomon asks what will be The New General Motors Franchise Model? They are wrong. God does not reward sloth and ineptitude. General Motors is in bankruptcy. It is now announcing a new dealership franchise model. These are the same people who brought the company to its current circumstances. They believe that the dealers have been stealing from them and that dealer opportunism is to blame for the current circumstances, not their stupidity. So after blaming their employees, GM is turns to blame their next-least vulnerable partner: their dealers. Will the GM dealers spot that this is what is in store for them? Will they just sign on the dotted line and march into franchise financial hell as did the franchisees of so many other franchise systems? In the past, auto dealers were in a privileged position. Now, unless they act, they’ll be just like the other pathetic business format franchisees that inhabit the twilight pizza, coffee and dog poo-picking up industries. This is precisely the challenge that the Canadian grocers failed at historically. Without resistance, this fate is in store not only to GM and Chrysler, but to all of the auto dealers. Dealer opportunism (defined as self-interest with deceit) as the primary problem when compared to manufacturer/franchisor incompetence? That the dealers let the public/shareholders believe this nonsense is beyond belief. When I was growing up, no one knew about eating disorders as a class of medical problems. It was only through the suffering of many (mostly women) that society and the medical establishment has recognized things like bulemia nervosa and anorexia nervosa. Karen Carpenter raised awareness by her death at age 32. Many psychiatric conditions are left untreated, women disproportionally between the two genders. You cannot treat a cluster of behaviours until it is defined. I believe franchising failures are such a powerful, life-altering force that it not only can, but predictably does, trigger serious illness. The human body and psyche has limits and when those are exceeded, the mind/body systems deteriorate. These affects are usually acted out through major relationships as well as lack of sleep, danger to self/others, occupational adjustment problems, etc. I have seen many franchise people who have had to deal with depression, violence and suicide. I think the answer is to organize into a form of geographically-based chapters to keep touch with each other. I think women are strong enough to do this type of work although I recognize that there are male partners that can help too. Everyone is busy but I think like other traumas, it’s often better dealt with in a peer-to-peer mode. This is why I think a Partners in Franchising chapter should be formed. Every human being requires security of person and a minimum economic stability. Without those basic conditions, your mental and physical health is damaged. Only the generous know that the helper receives much more than the “weaker one”. We regain our strength by helping others heal. That’s how we are wired as humans. Only the deluded and those that profit from misery think otherwise. You are currently browsing the archives for the Partners in Franchising category.